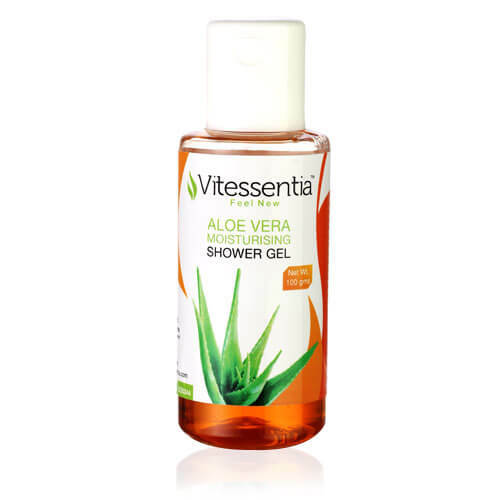 Vitessentia Aloe Vera Moisturising Shower Gel is made from natural Aloe Vera Gel. It moisturises and cleanses the skin at the same time. As a natural cleanser, it Aleovera removes dirt and grime from the skin and leaves it hydrated. It opens the pores and cleanses the skin. It is a mild formulation and thus it is suitable for daily use. It is packed in a plastic spray bottle.